THREE GENERATIONS OF a single family were identified today as the victims of Australia’s worst mass shooting in 22 years, a murder-suicide which left seven people dead. 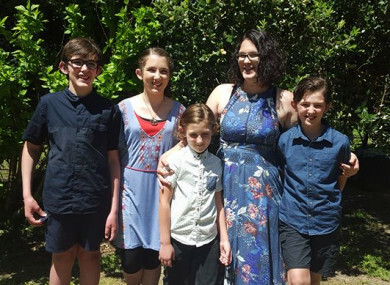 They included Katrina Miles, 35, and her four children – three boys and a girl aged eight to 13 – who were found yesterday in a shed on a rural property near the Margaret River wine region in Western Australia, police said. Miles’ mother Cynda Miles, 58, was found in the main house at the property and her father Peter Miles, 61, was found outside, Police Commissioner Chris Dawson told reporters. Three firearms licensed to Peter Miles were also found, he said. Dawson said it was too early to confirm which member of the family was the shooter, saying more forensic work was needed. He would only say police were alerted to the shootings by a phone call from a “male person” at the property, who was apparently the killer. After that attack, the government banned assault rifles, launched a mass firearm buyback programme and imposed tight gun registration laws. Police issued a statement from unnamed relatives of the Miles family saying: “We are devastated by this shocking event. We are stunned and still trying to understand how this could happen. We respectfully ask that the community refrain from speculating on the circumstances surrounding this tragic incident. “They were a very socially aware family, doing their best to create a safe community, and that is why it is so shocking,” she said. Facebook posts by Katrina and Cynda Miles, quoted by local media, referred to the children as all being autistic and homeschooled. The shooting happened in the small town of Osmington, close to Margaret River, a popular tourist destination renowned for its wine, surf and natural beauty. A neighbour told the West Australian newspaper she was woken by gunfire about 4.00am yesterday morning (9pm Thursday Irish time), but thought it was someone shooting kangaroos, which are numerous in the area. Email “'We are devastated': Grandparents, mother and four children killed in murder-suicide in Australia”. Feedback on “'We are devastated': Grandparents, mother and four children killed in murder-suicide in Australia”.